The Wells Scholars Harlos House Renovation responded to the need of Indiana University for a new library/seminar room, office space, storage, kitchen and entry lobby in an existing campus building. An existing garage, breezeway, kitchen and storage area provided the shell into which the new spaces were located. The new design incorporates architectural details and finish materials from the existing building into the renovated areas to provide a cohesive final project. 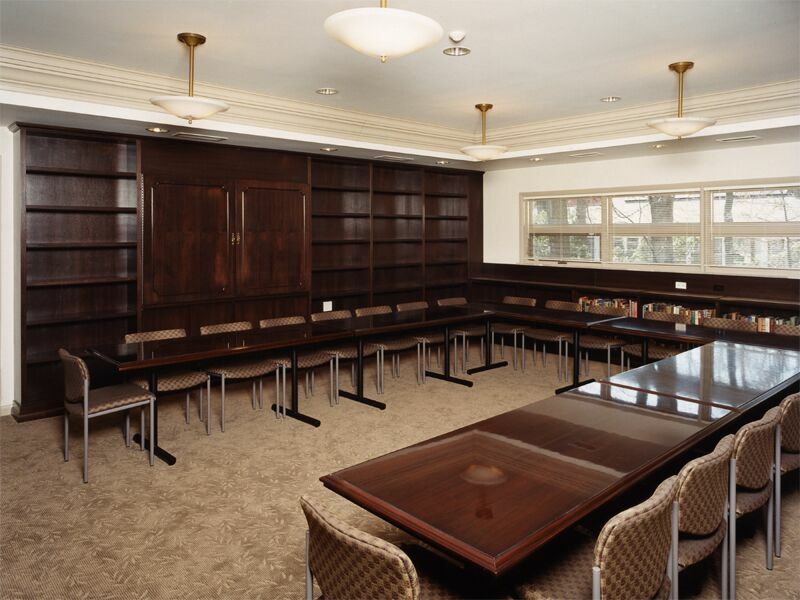 Extensive library casework was designed for the library/seminar room to house the Herman B. Wells Library collection.